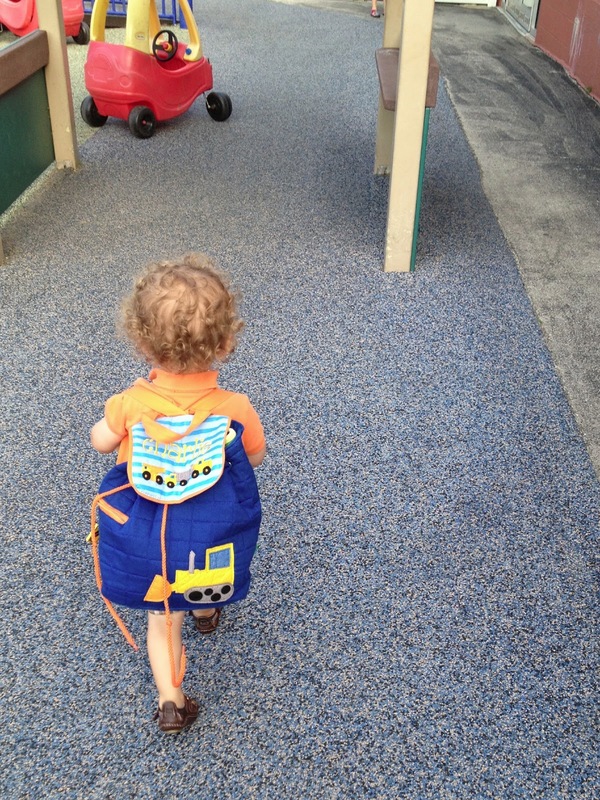 When Charlie sports his backpack (pack-pack, if you're Mary Clare), he is all business. And if he's wearing his backpack, that means it's Wet Wednesday at Childgarden. And that means he's not stopping for no stinking pictures. There are cars to drive through sprinklers! Puddles to stomp! Water to splash in his friends' eyes! Make way for the Bird! I refuse to ever correct 'pack-pack' from the girls' vernacular. It makes me chuckle every time they say it. In other news, I want Charlie's curls. I think Charlie is in need of another trim. The curls are weighing him down! Fingers crossed that the curls come back like last time.